Hand knitted in 100% Shetland Wool. I knitted this Blood Vein Moth (Timandra comae) in March 2017. 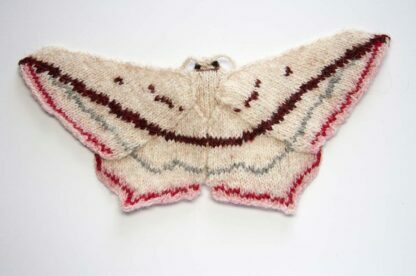 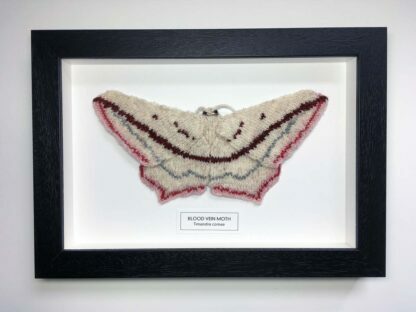 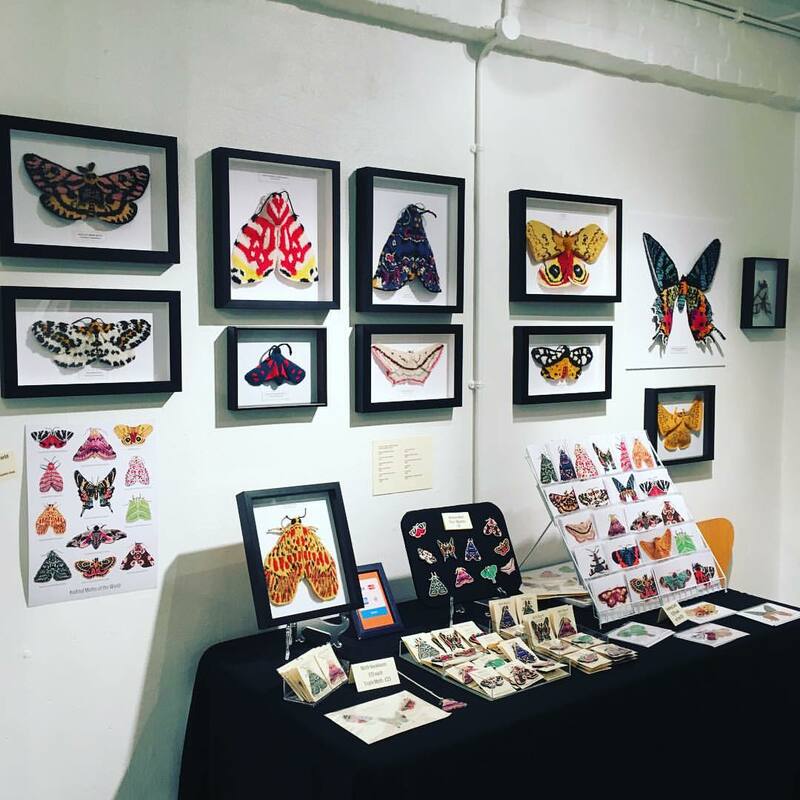 This moth is currently on display at Wild & Woolly in London. 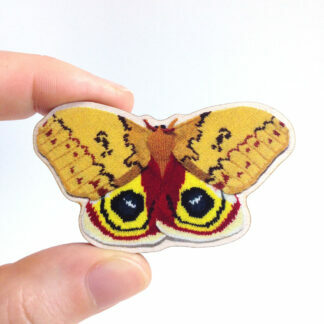 So it will not ship until early April 2019. 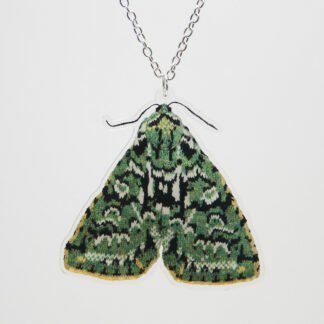 If you would like to collect it from the shop use the code WILD to remove the shipping costs. 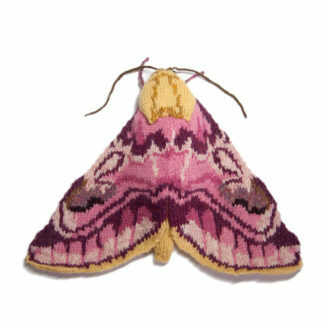 Please contact me if you would like to purchase it for delivery during Feb or March and I will see what I can do.